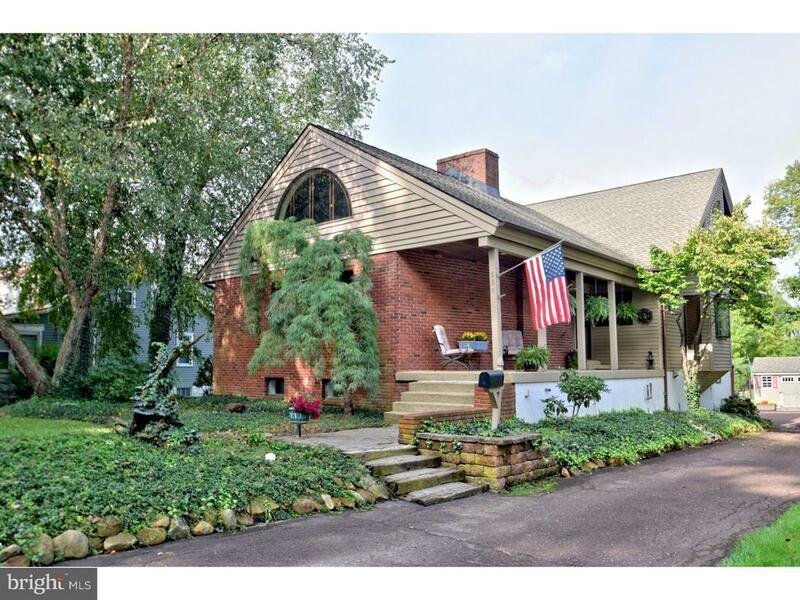 One of a kind, custom built contemporary home in Doylestown Boro on picturesque half acre lot with in-ground pool. Living room with brick 2-sided fireplace, hardwood floor, ceiling fan and cathedral wood-planked ceiling. Dining room with ceramic tile floor. Remodeled kitchen with granite counter-tops, Viking 6-burner range, Sub-zero refrigerator, tile floor, appliance garage. Master bath with soaking tub, sky-light. Lower level features full bath and bonus room currently used for pool table (could be 4th bedroom). Home is much larger than it appears. Great location. Walk to shops and restaurants. Motivated seller. Directions: West on 313; Left on North St.